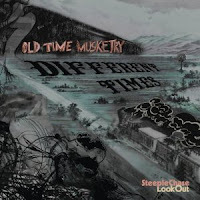 Weekend Round Up: Bobrytskyy, Old Time Musketry, Ambrosio et al. Keyboardist Stanislav Bobrytskyy, whom we first covered back in Spring, is back, and this time with guitarist Mikhail Paramzin. 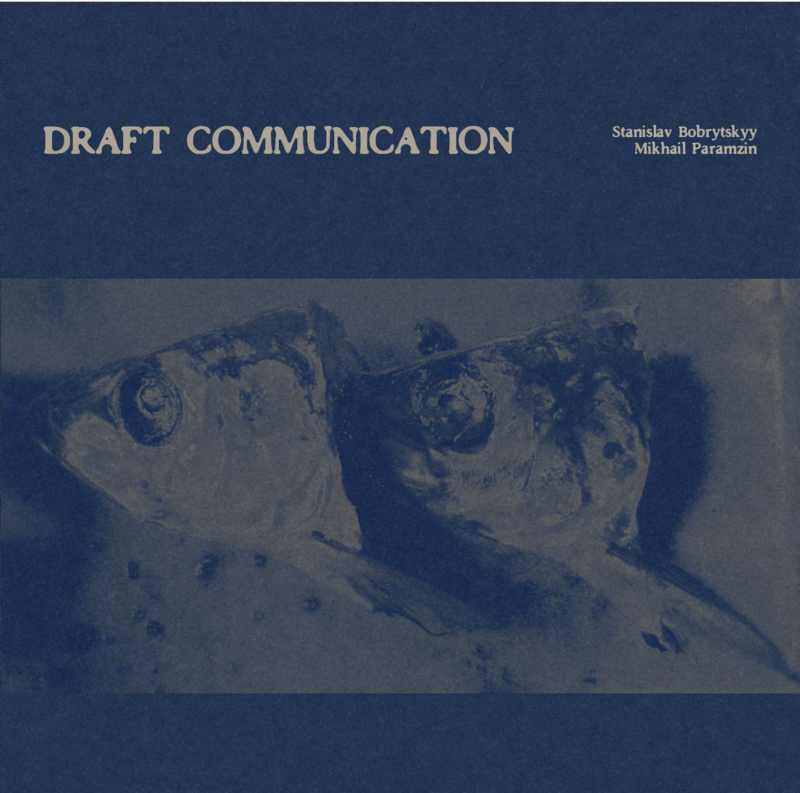 Like last time, the duo format seems to fit Bobrytskyy well, his playing is intimate and he is a supportive listener unafraid to state his own musical opinions. It is not without some self awareness that the album is entitled Draft Communication. Listening to the track 'Kitchen Talk', you hear the two electric instruments engaged in a dark dialog, the guitar sticks to single note lines and some light extended techniques, while the keyboard weaves sinuously around the somewhat amorphous foundations. 'Beyond C. E. Shannon's Tablecloth' presents a much different sound. Still steeped in deep listening, the two converse in a more tunefully lush manner, the guitar tone still sharp but providing more tonal clusters to contrast with the keyboards. Check it out, like his previous recording, he has it at Bandcamp page for listening and free download. Different Times is a well thought out album. It contains a nice mix of old-time jazz and folksy themes, while the tight group interplay provides a thoroughly modern jazz sound. Songs like 'Star Insignia' and 'Hope for Something More' begin with reserved melodies and build slowly with stately tension. The ensemble's playing is strong, compositions are often catchy, and the album has a sort of overall laid back vibe -- that is until 'Undewater Volcano' comes along, a rhythmically throbbing post-hard-bop-modern-jazz-like composition with the just the right touch of the shimmering electric piano. The group is drummer Max Goldman, pianist, accordionist and composer JP Schlegelmilch, Bassist Phil Rowman and sax and clarinetist Adam Schneit, all currently located in the bustling borough of Brooklyn. Check out 'Underwater Volcano' live. While we're on to modern jazz, this is a new group well worth talking about. 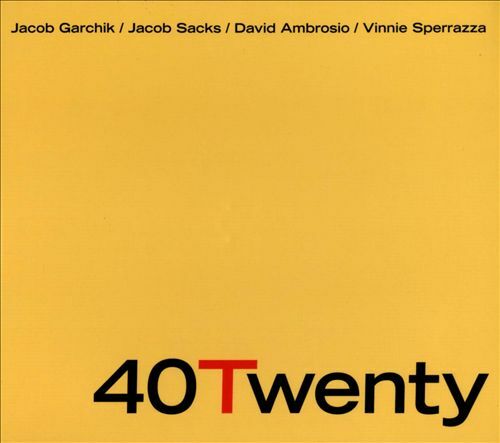 Comprised of trombonist Jacob Garchik, keyboardist Jacob Sacks, bassist David Ambrosio, and drummer Vinnie Sperazza, 40Twenty is a nice document, a studio effort after a several week residency at Ibeam in Brooklyn last January. The resulting album is a fine mix of modern jazz mixed with a subtle reverence of the past and an irresistible energy moving it forward. The blending is readily apparent in the opening notes of the kick off tune 'Jan 20'. The irregular rhythm is neatly offset by the trombone's jaunty melody, which itself is an instrument that can sound simultaneously nostalgic and avant-garde. And throughout, the playing is engaging and melodic. 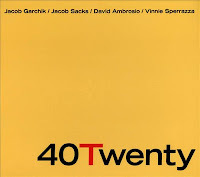 While sticking with the more established roles of the rhythm section, harmonic development and song structure, the group employs thoroughly updated techniques and musical devices to make this a real joy to hear, like Garchik's solo and the groups interplay on 'Soon Enough' and the abstract-isms on 'One Five'. Beautiful album.